Clémencet, Johanna, Cyril Aubert, Doriane Blottière, and Mickaël Sanchez. 2013. “Kleptoparasitism in the Endemic Gecko Phelsuma Inexpectata: Pollen Theft from Foraging Honeybees on Réunion.” Journal of Tropical Ecology 29: 251–54. Glaw, Frank, and Miguel Vences. 2007. A field guide to the amphibians and reptiles of Madagascar. Grassi, Christina. 2006. “Variability in Habitat, Diet, and Social Structure of Hapalemur Griseus in Ranomafana National Park, Madagascar.” American Journal of Physical Anthropology 131 (1): 50–63. Long, Emma, and Paul a. Racey. 2007. “An Exotic Plantation Crop as a Keystone Resource for an Endemic Megachiropteran, Pteropus Rufus, in Madagascar.” Journal of Tropical Ecology 23 (July 2007): 397. Reynolds, R Graham, Alberto R. Puente-Rolón, Anthony J. Geneva, Kevin J. Aviles-Rodriguez, and Nicholas C Herrmann. 2016. “Discovery of a Remarkable New Boa from the Conception Island Bank, Bahamas.” Breviora 549 (1): 1–19. Chiszar, David, Donal Boyer, Robert Lee, James B. Murphy, and Charles W. Radcliffe. "Caudal luring in the southern death adder, Acanthophis antarcticus." Journal of Herpetology (1990): 253-260. Dinets, V., J.C. Brueggen, and J.D. Brueggen. 2015. “Crocodilians Use Tools for Hunting.” Ethology Ecology & Evolution 27 (1). Taylor & Francis: 74–78. .
Dinets, Vladimir. 2014. “Apparent Coordination and Collaboration in Cooperatively Hunting Crocodilians.” Ethology Ecology & Evolution, 27 (2): 1–7. Lindenmayer, David and Ben Scheele. 2017. “Do Not Publish.” Science Magazine. 356 (6340) : 800-801. Madsen, Thomas, Bo Stille, and Richard Shine. 1996. "Inbreeding depression in an isolated population of adders Vipera berus." Biological conservation 75 (2): 113-118. Murphy, James B., Charles C. Carpenter, and James C. Gillingham. 1978. "Caudal luring in the green tree python, Chondropython viridis (Reptilia, Serpentes, Boidae)." 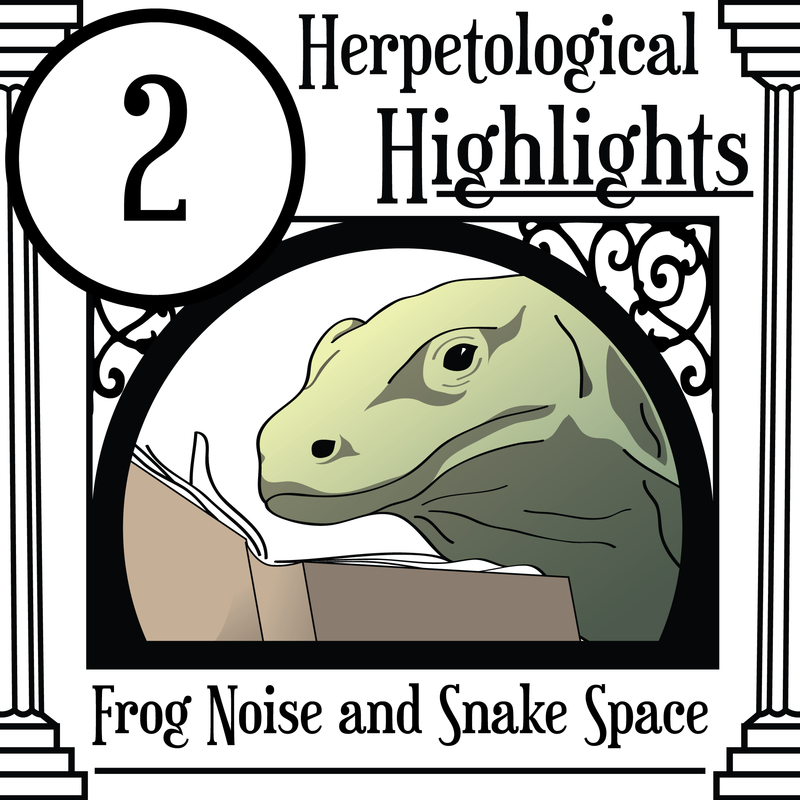 Journal of Herpetology 12 (1): 117-119. O'Shea, M. 2007. Boas and Pythons of the World. New Holland Publishers. Pyron, R. Alexander, R. Graham Reynolds, and Frank T. Burbrink. 2014. 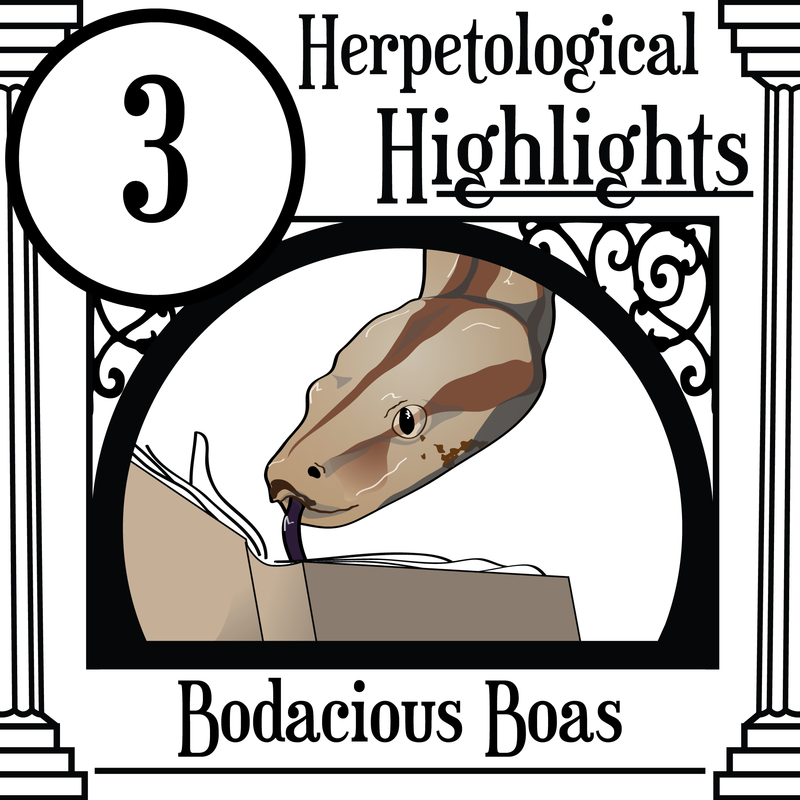 “A Taxonomic Revision of Boas (Serpentes: Boidae).” Zootaxa 3846 (2): 249–60. Radcliffe, Charles W., D. Chiszar, and H. B. Smith. 1980. "Prey-induced caudal movements in Boa constrictor with comments on the evolution of caudal luring." Bulletin of the Maryland Herpetological Society 16: 19-22. Reynolds, R. Graham, Glenn P. Gerber, and Benjamin M. Fitzpatrick. 2011. "Unexpected shallow genetic divergence in Turks Island Boas (Epicrates c. chrysogaster) reveals single evolutionarily significant unit for conservation." 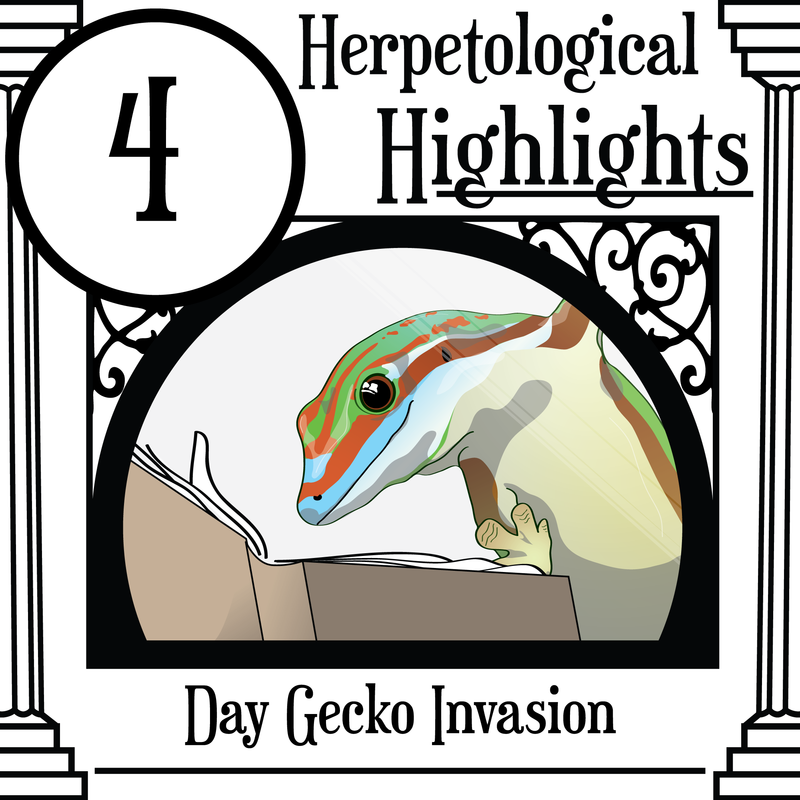 Herpetologica 67 (4): 477-486. Tzika, Athanasia C., Susan Koenig, Ricardo Miller, Gerardo Garcia, Christophe Remy, and Michel C. Milinkovitch. 2008. "Population structure of an endemic vulnerable species, the Jamaican boa (Epicrates subflavus)." Molecular ecology 17 (2): 533-544. Yang, Jian-Huan, and Bosco Pui-Lok Chan. 2015. "Two new species of the genus Goniurosaurus (Squamata: Sauria: Eublepharidae) from southern China." Zootaxa 3980 (1): 067-080. Ruane, S., F.T. Burbrink, B. Randriamahtantsoa, and Raxworthy. C.J. 2016. “The Cat-Eyed Snakes of Madagascar: Phylogeny and Description of a New Species of Madagascarophis (Serpentes: Lamprophiidae) from the Tsingy of Ankarana.” Copeia 104 (3): 712–21. Weijola, Valter, Fred Kraus, Varpu Vahtera, Christer Lindqvist, and Stephen C Donnellan. 2017. “Reinstatement of Varanus Douarrha Lesson, 1830 as a Valid Species with Comments on the Zoogeography of Monitor Lizards (Squamata: Varanidae) in the Bismarck Archipelago, Papua New Guinea.” Australian Journal of Zoology. Durso, Andrew M, and Richard A Seigel. 2015. “A Snake in the Hand Is Worth 10,000 in the Bush.” Journal of Herpetology 49 (4): 503–6. doi:10.1670/15-49-04.1. Jones, Julia P G, Mijasoa M. Andriamarovololona, and Neal Hockley. 2008. “The Importance of Taboos and Social Norms to Conservation in Madagascar.” Conservation Biology 22 (4): 976–86. Picciulin, M., Sebastianutto, L., Codarin, A., Calcagno, G., & Ferrero, E. A. 2012. “Brown meagre vocalization rate increases during repetitive boat noise exposures: A possible case of vocal compensation.” The Journal of the Acoustical Society of America, 132(5), 3118-3124. Scott, Mitchell L., Martin J. Whiting, Jonathan K. Webb, and Richard Shine. 2013. “Chemosensory Discrimination of Social Cues Mediates Space Use in Snakes, Cryptophis Nigrescens (Elapidae).” Animal Behaviour 85: 1493–1500. Strine, Colin, Curt Barnes, Matthew Crane, Inês Silva, Pongthep Suwanwaree, Bartosz Nadolski, Taksin Artchawakom, and Jacques Hill. 2015. “Sexual Dimorphism of Tropical Green Pit Viper Trimeresurus (Cryptelytrops) macrops in Northeast Thailand.” Amphibia-Reptilia 36 (4): 327–38. York, Daniel S. "The combat ritual of the Malayan pit viper (Calloselasma rhodostoma)." Copeia 1984.3 (1984): 770-772.